Tedea Huntleigh 1250 Single Point 300 kgTedea Huntleigh 1250 Potted Single Point Aluminum Load Cell. High-capacity off-center loading load cell accurately with 300 kg / 660 lb capacity. Load cells with potted cavities for improved performance in damp environments. 2mV/V 10' cable. 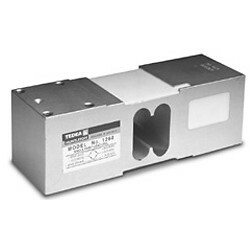 Tedea Huntleigh 1250 Single Point 500kgTedea Huntleigh 1250 Potted Single Point Aluminum Load Cell. High-capacity off-center loading load cell accurately with 500 kg / 1100 lb capacity. Load cells with potted cavities for improved performance in damp environments. 2mV/V 10' cable. 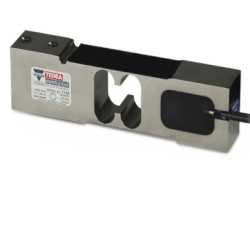 Tedea Huntleigh 1250 Single Point Load Cell 100kgTedea Huntleigh 1250 Potted Single Point Aluminum Load Cell. High-capacity off-center loading load cell accurately with 100 kg / 220 lb capacity. Load cells with potted cavities for improved performance in damp environments. 2mV/V 10' cable. Tedea Huntleigh 1250 Single Point Load Cell 150kgTedea Huntleigh 1250 Potted Single Point Aluminum Load Cell. High-capacity off-center loading load cell accurately with 150 kg / 330 lb capacity. Load cells with potted cavities for improved performance in damp environments. 2mV/V 10' cable. Tedea Huntleigh 1250 Single Point Load Cell 200kgTedea Huntleigh 1250 Potted Single Point Aluminum Load Cell. High-capacity off-center loading load cell accurately with 200 kg / 440 lb capacity. Load cells with potted cavities for improved performance in damp environments. 2mV/V 10' cable. Tedea Huntleigh 1250 Single Point Load Cell 250kgTedea Huntleigh 1250 Potted Single Point Aluminum Load Cell. High-capacity off-center loading load cell accurately with 250 kg / 550 lb capacity. Load cells with potted cavities for improved performance in damp environments. 2mV/V 10' cable. Tedea Huntleigh 1250 Single Point Load Cell 635kgTedea Huntleigh 1250 Potted Single Point Aluminum Load Cell. High-capacity off-center loading load cell. Capacity: 635 kg / 1399 lbs. Long-term stability and durability are maintained. Load cells with potted cavities are available for improved performance in damp environments. 2mV/V 10' cable. Tedea Huntleigh 1260 Load Cell 100 kg100kg Tedea Huntleigh 1260 Single Point Aluminum Load Cell. NTEP Approved, 2mV/V and 10' cable. Tedea Huntleigh 1260 Load Cell 200 kg200kg Tedea Huntleigh 1260 Single Point Aluminum Load Cell. NTEP Approved, 2mV/V and 10' cable. Tedea Huntleigh 1260 Load Cell 250 kgTedea Huntleigh 250kg 1260 Single Point Aluminum Load Cell. NTEP Approved, 2mV/V and 10' cable. Tedea Huntleigh 1260 Load Cell 300 kgTedea Huntleigh 300 kg 1260 Single Point Aluminum Load Cell. NTEP Approved, 2mV/V and 10' cable. Tedea Huntleigh 1260 Load Cell 500 kgTedea Huntleigh 500 kg 1260 Single Point Aluminum Load Cell. NTEP Approved, 2mV/V and 10' cable. Tedea Huntleigh 1260 Load Cell 50kg50kg Tedea Huntleigh 1260 Single Point Aluminum Load Cell. NTEP Approved, 2mV/V and 10' cable. 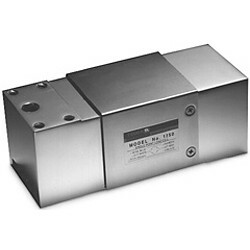 Tedea Huntleigh 1260 Load Cell 635 kgTedea Huntleigh 635 kg 1260 Single Point Aluminum Load Cell. NTEP Approved, 2mV/V and 10' cable. Tedea Huntleigh 1260 Load Cell 75 kg75kg Tedea Huntleigh 1260 Single Point Aluminum Load Cell. NTEP Approved, 2mV/V and 10' cable.